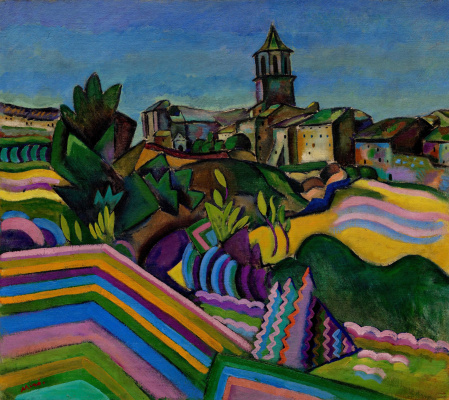 In 1920s Joan Miró lived in two countries travelling either to his home country, Catalonia or to French capital. He came to Paris in 1920 and very soon made friends with avant-garde artists and writers. 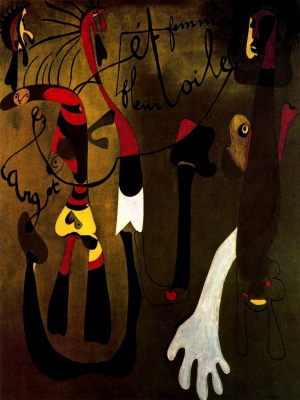 Since that time Miró began exploring Surrealism and despite he had never been an official member of the movement he was always devoted to its concepts. 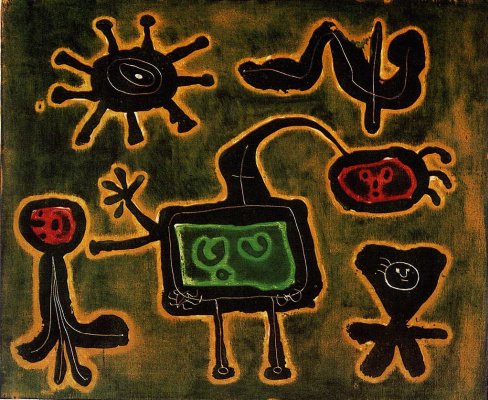 André Breton, a French writer and poet, in his famous Surrealist Manifesto of 1924, expressed the idea that art was the best form and tool revealing mysteries of the subconscious, propagating "pure psychic automatism". 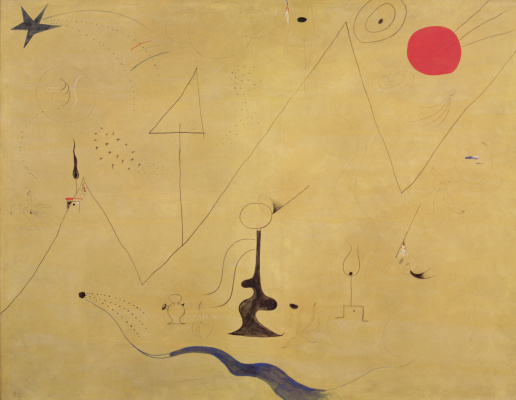 From 1924 to 1927, Joan Miró executed an extended series of works, which some art experts called automatic drawing, dream paintings and poetic paintings. 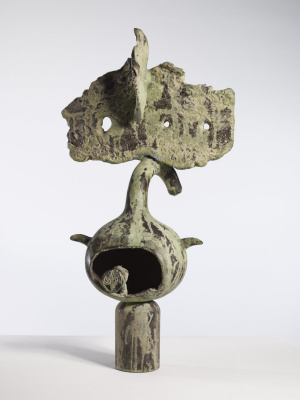 This series became a kind of landmark in the artist’s oeuvre; he rejected figurativism. 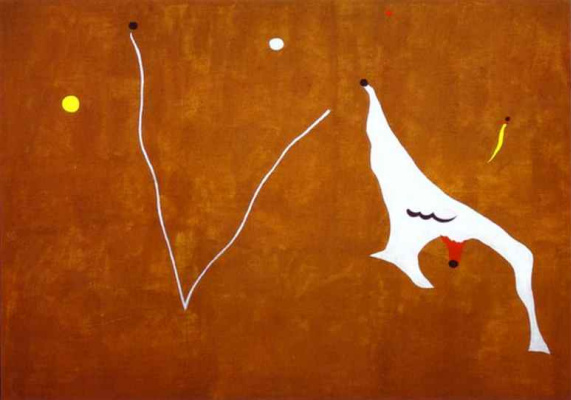 The common feature of his artworks of that period was evenly laid, mainly one-color background with semiabstract symbols scattered all over the canvas. Sometimes, the objects were recognizable, very rarely the artist would add one or two words to the images. 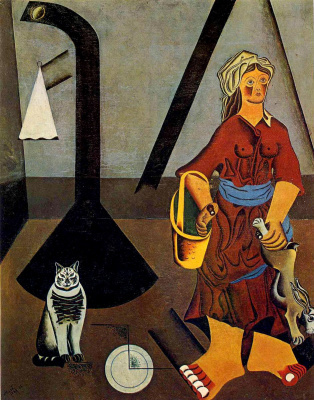 However, the artwork titled Composition differs from many paintings produced in the same 1927. 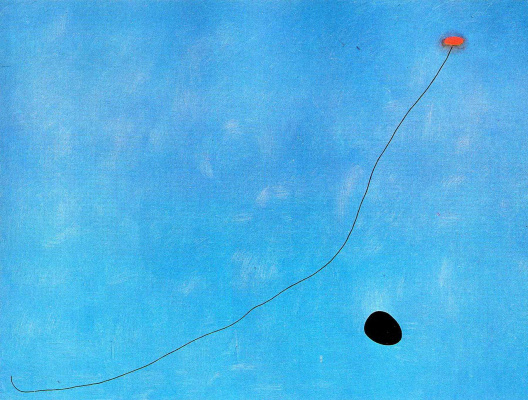 Joan Miro in this painting declined not only his favorite blue color but the background at all. The Composition is almost colorless and its elements are painted just on the raw canvas. 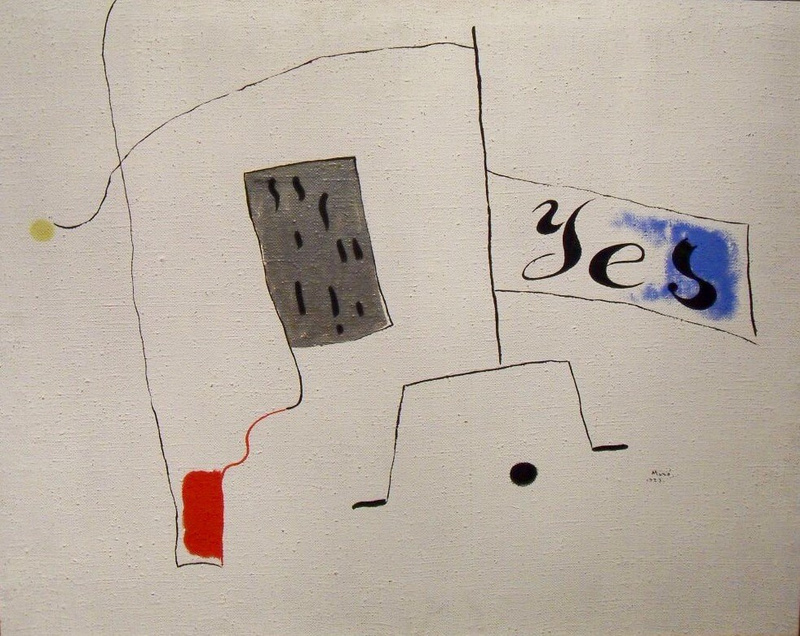 Joan Miro called his approach to work “extremely spontaneous”. 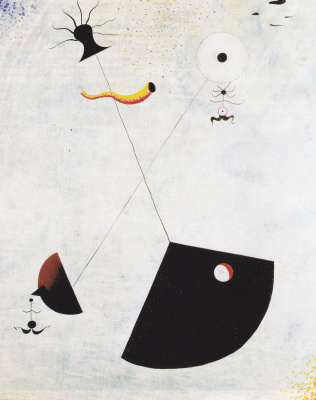 In 1948 speaking about 20s in Paris, Miro said that many artworks from that period were performed under hallucinations caused by hunger, he just allowed them to appear without any control, just following the paintbrush movements. However, the later research testified the opposite. 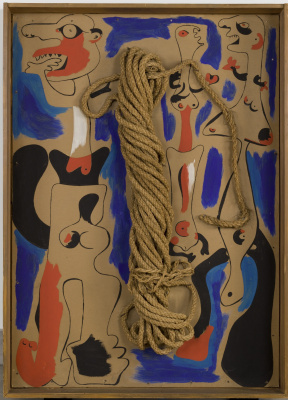 You can find the artist’s notebooks with a lot of studies of the artworks of that period, which are kept in the Joan Miró Foundation in Barcelona.